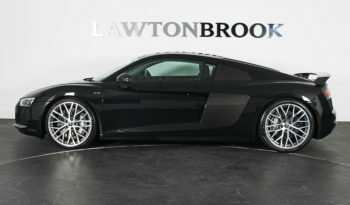 £21k of options. 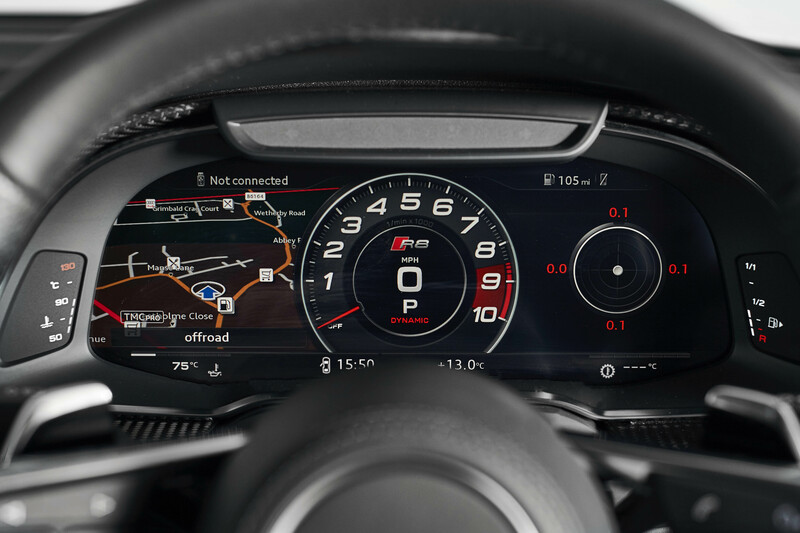 Mag Ride. 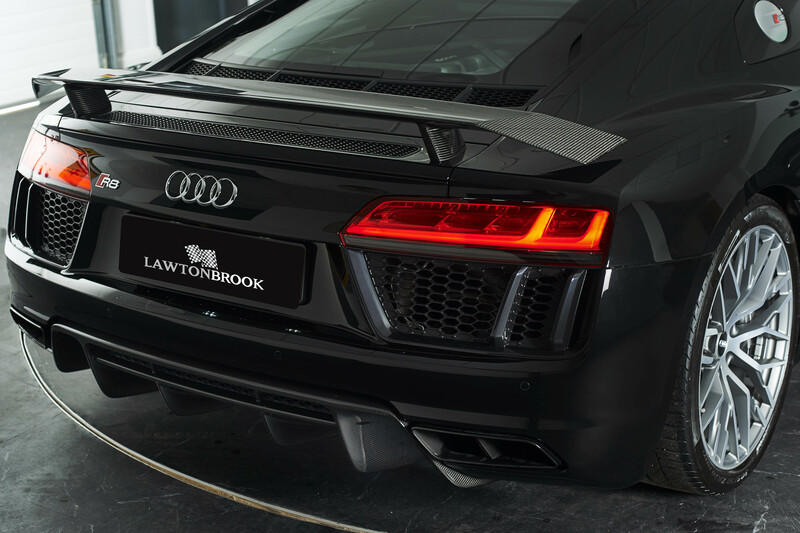 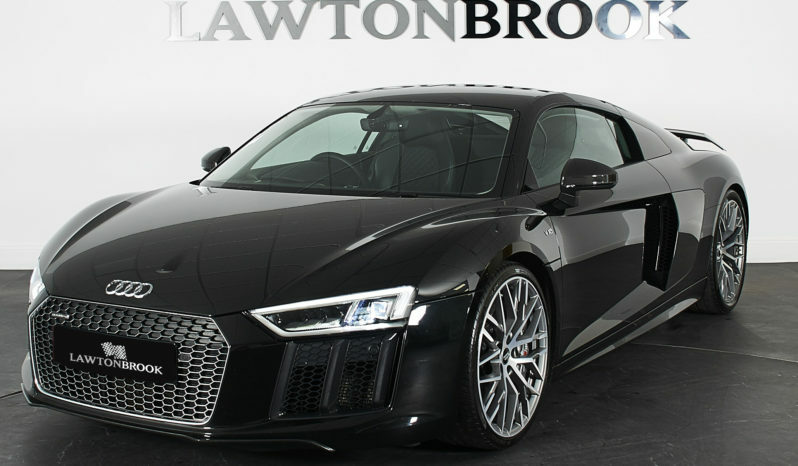 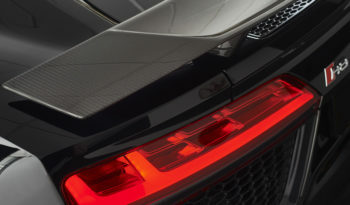 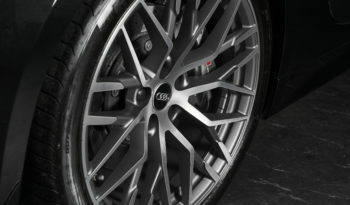 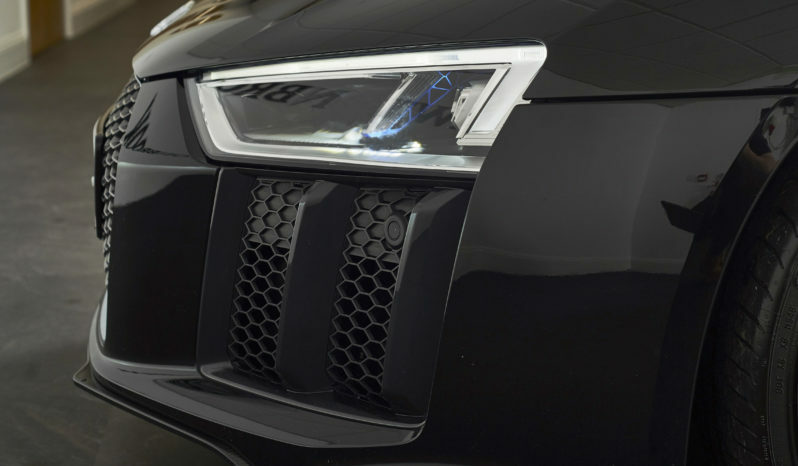 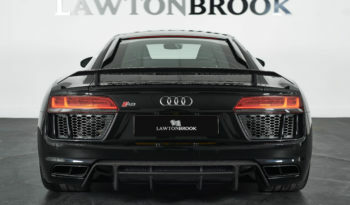 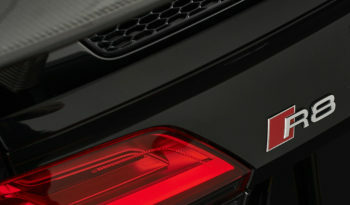 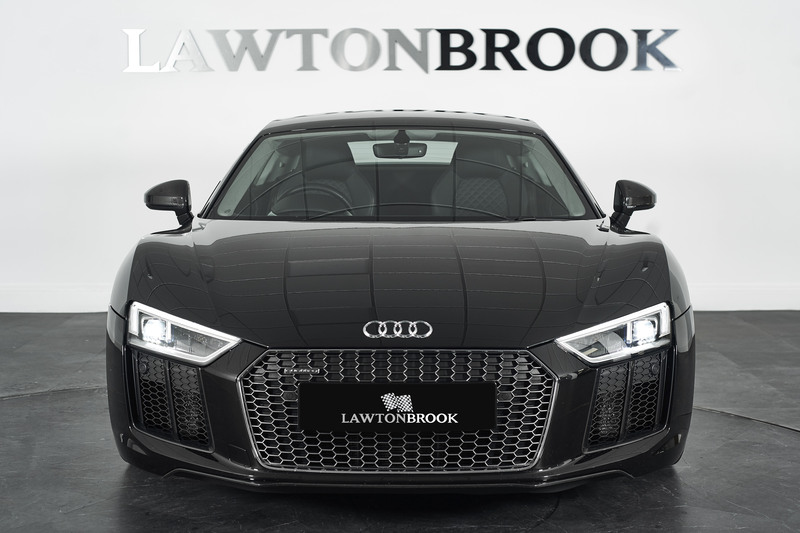 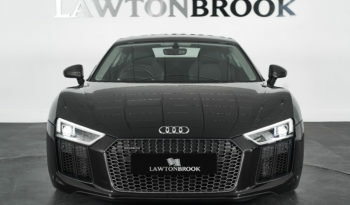 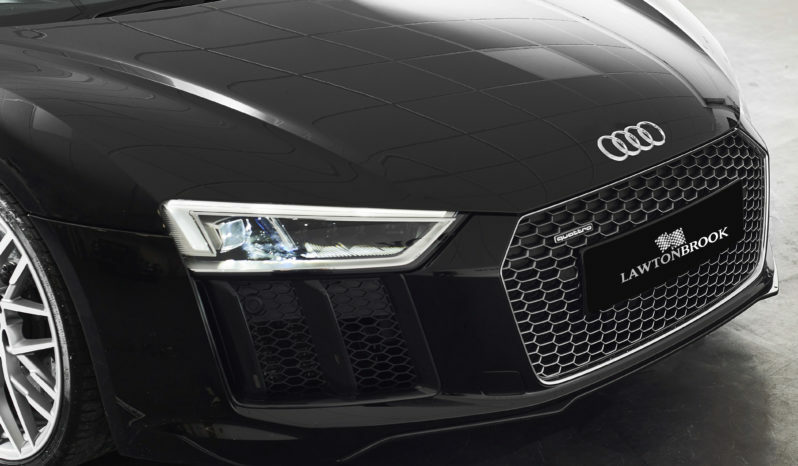 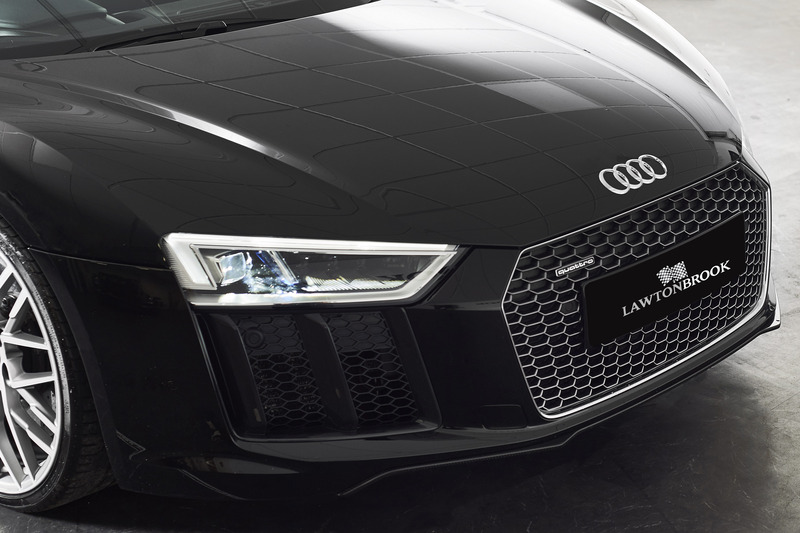 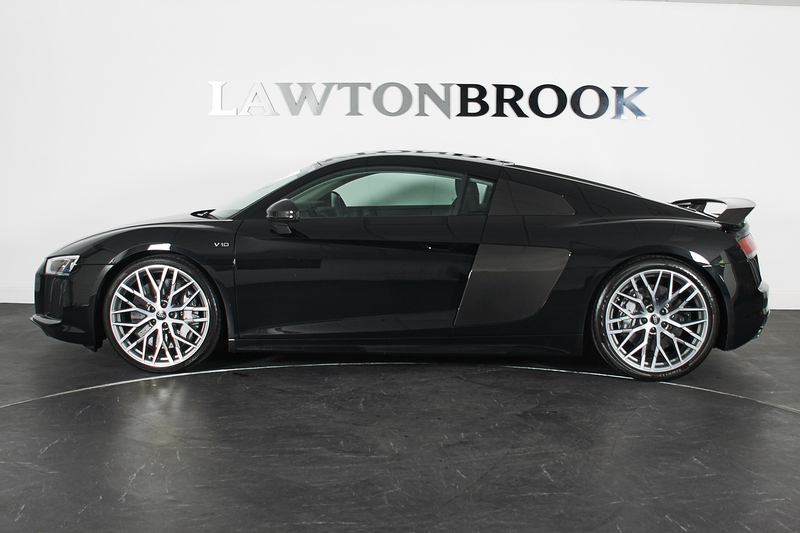 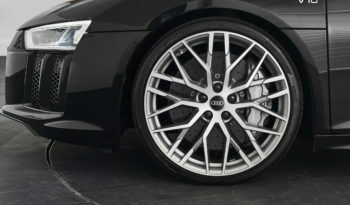 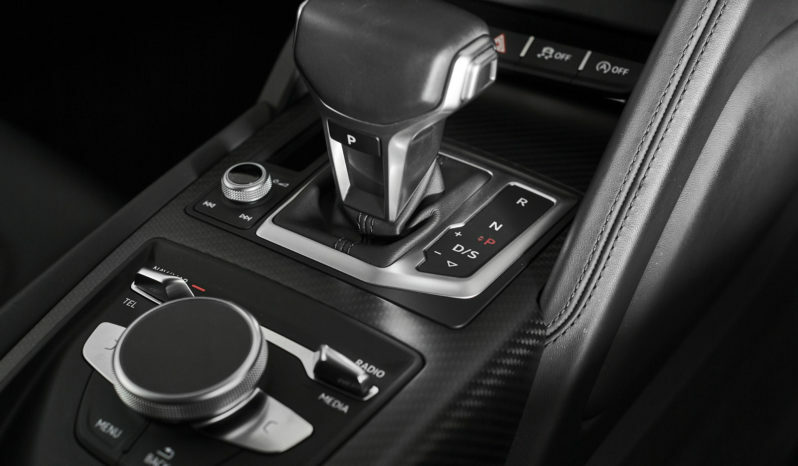 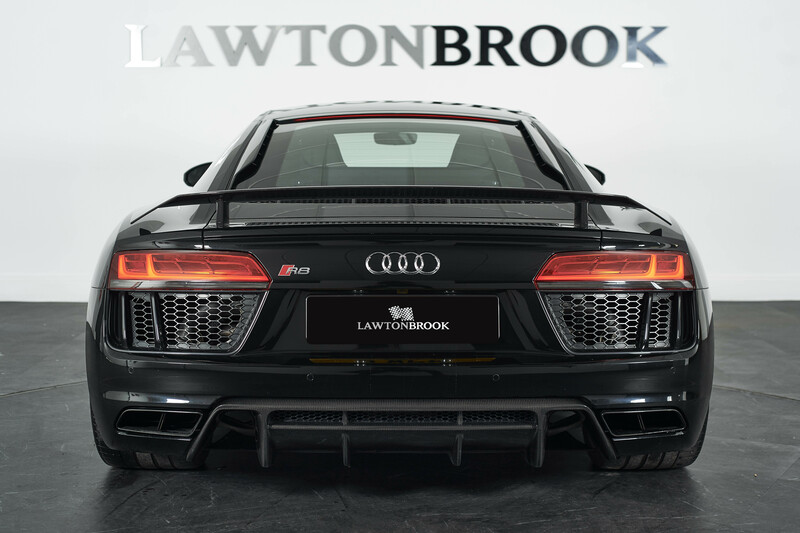 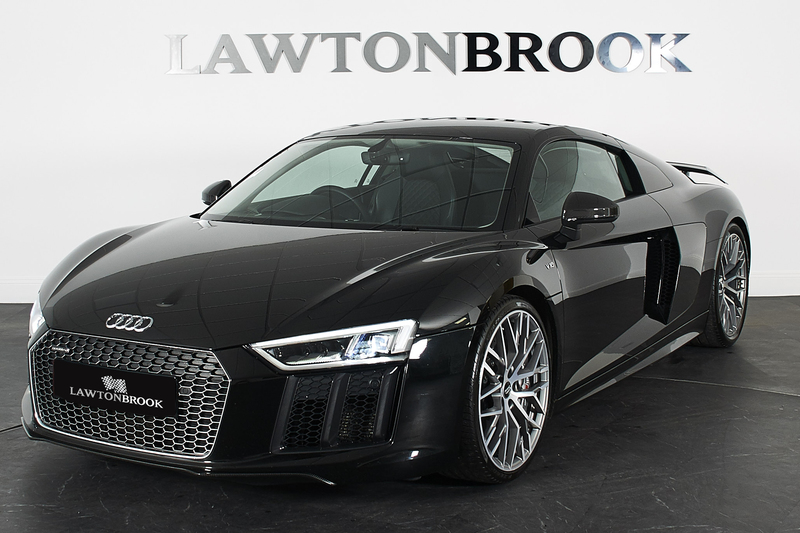 The Audi R8 is HUGE favourite of everyone here at Lawton Brook and examples like this one are the exact reason why! 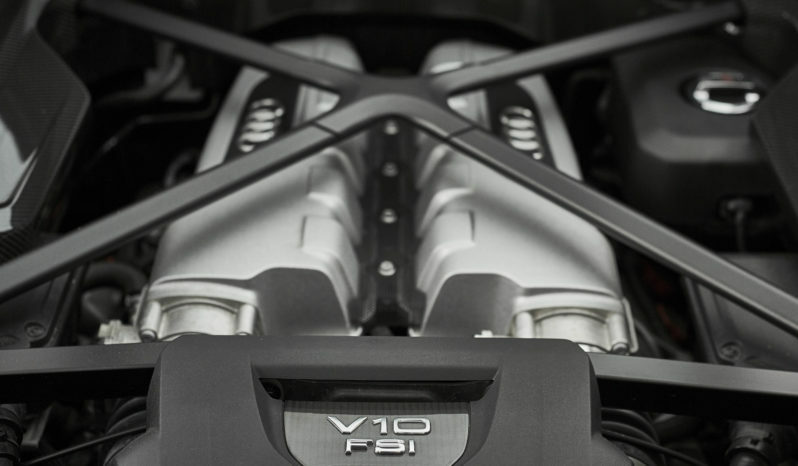 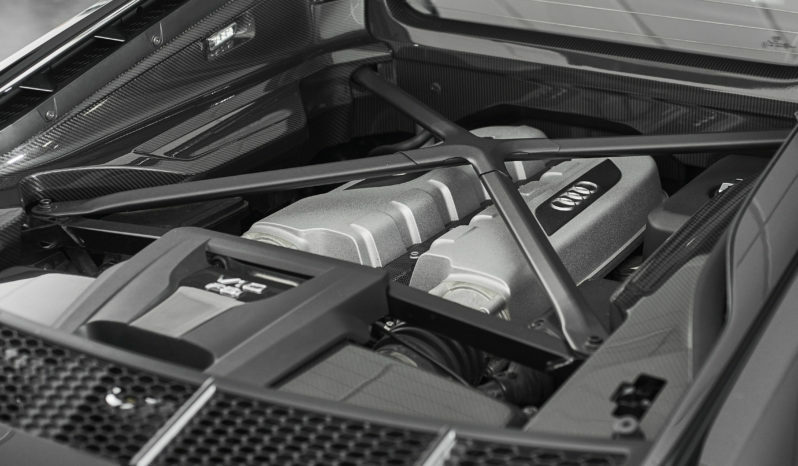 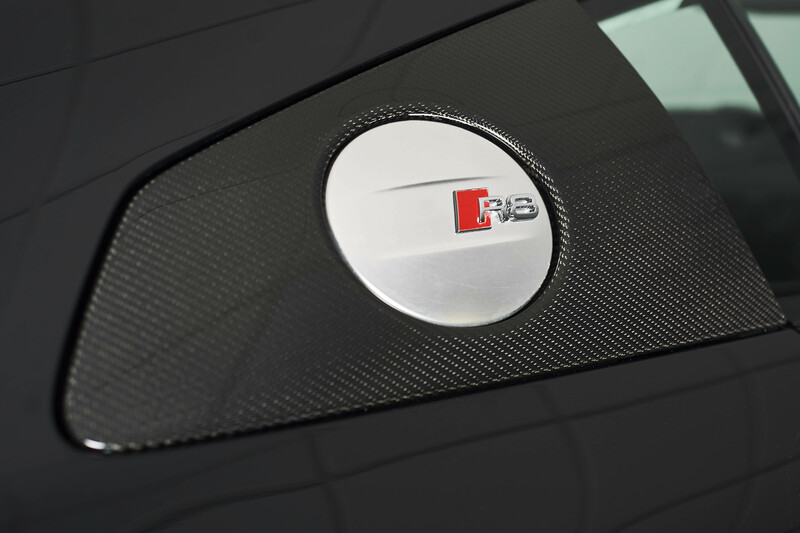 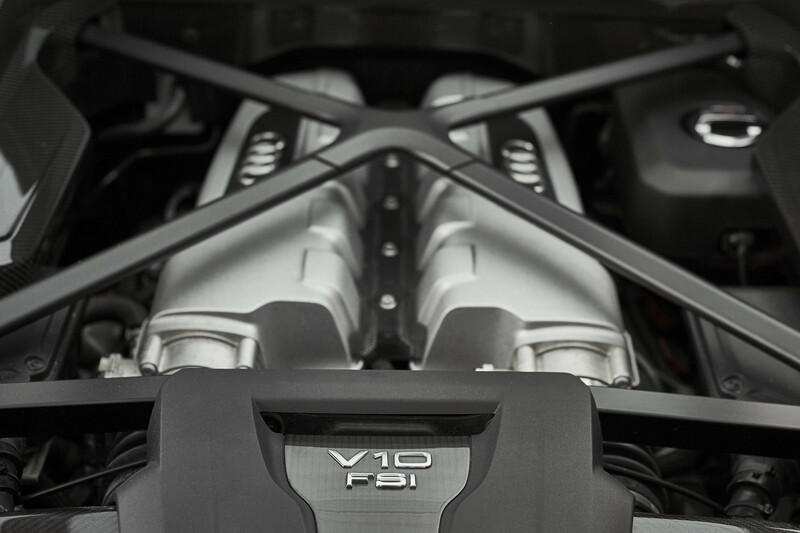 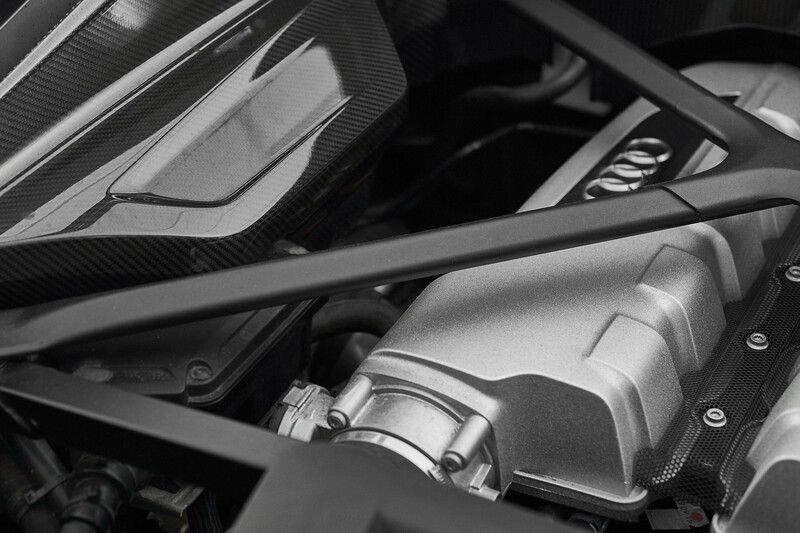 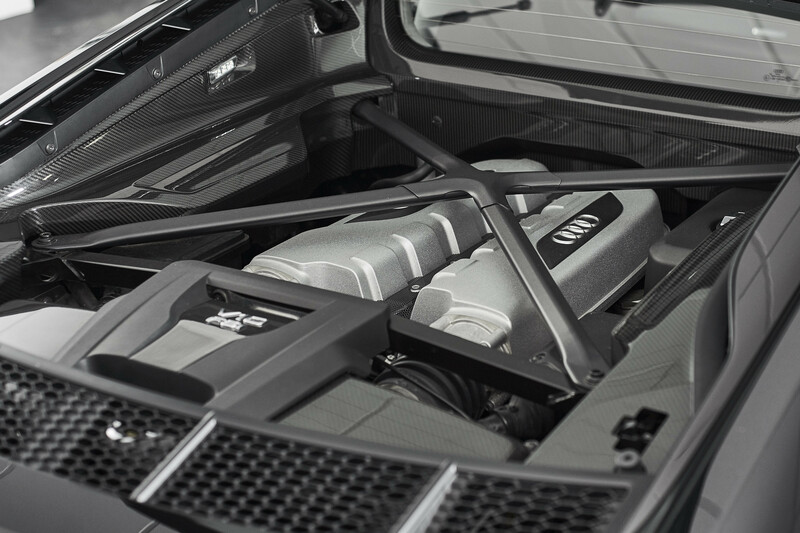 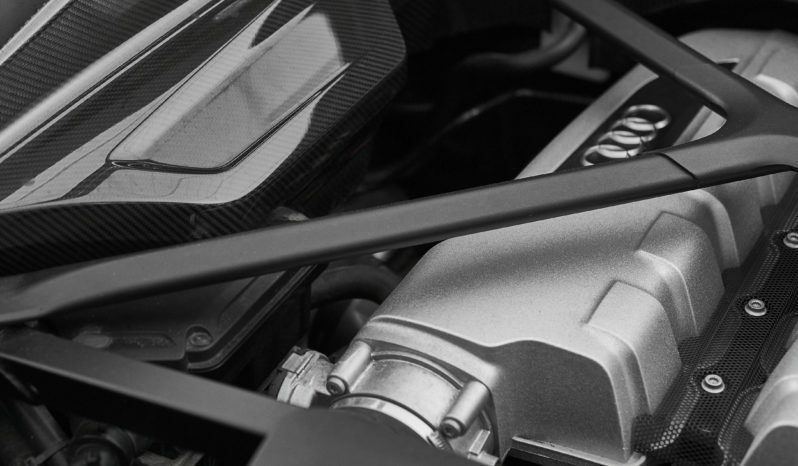 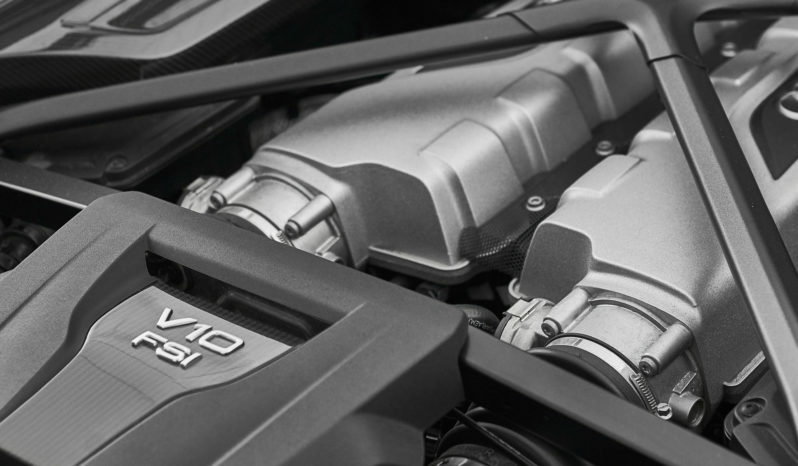 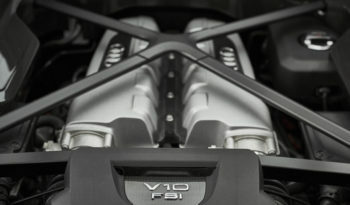 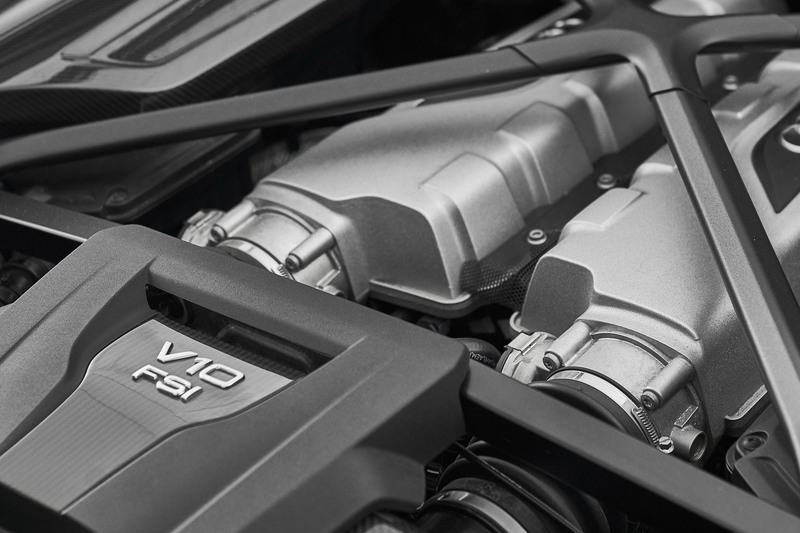 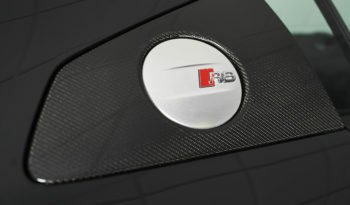 Top of the range in terms of performance, this V10 plus has absolutely everything you could want in a supercar. 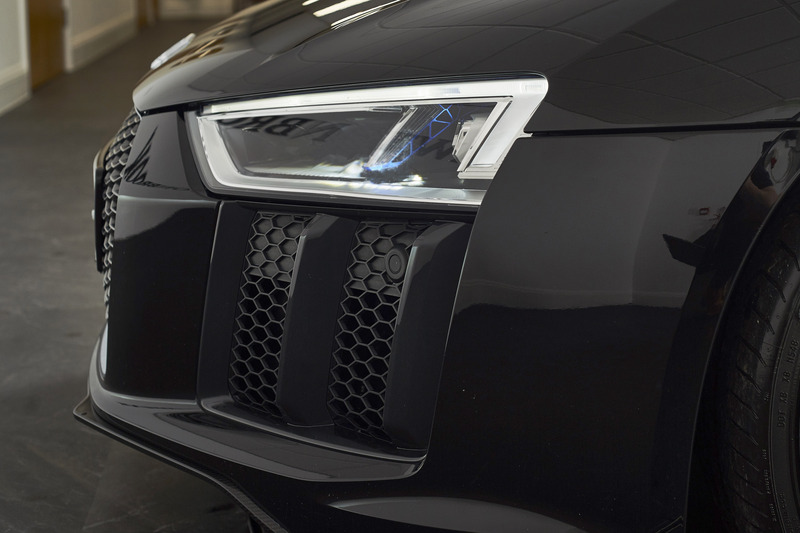 The options list is the longest we have ever seen and the colour combinations throughout truly make this a incredibly cool and very special vehicle. 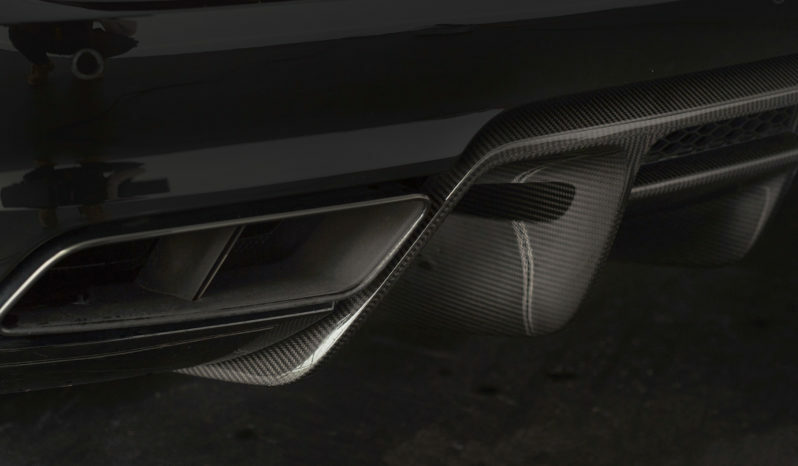 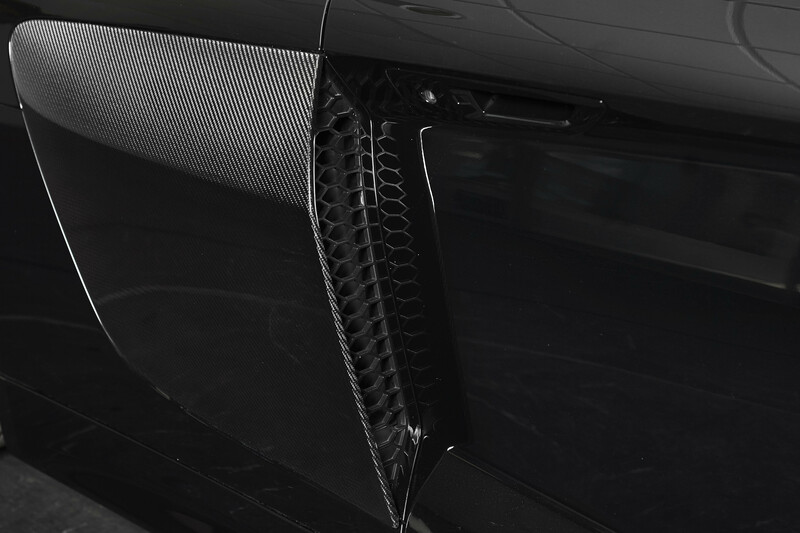 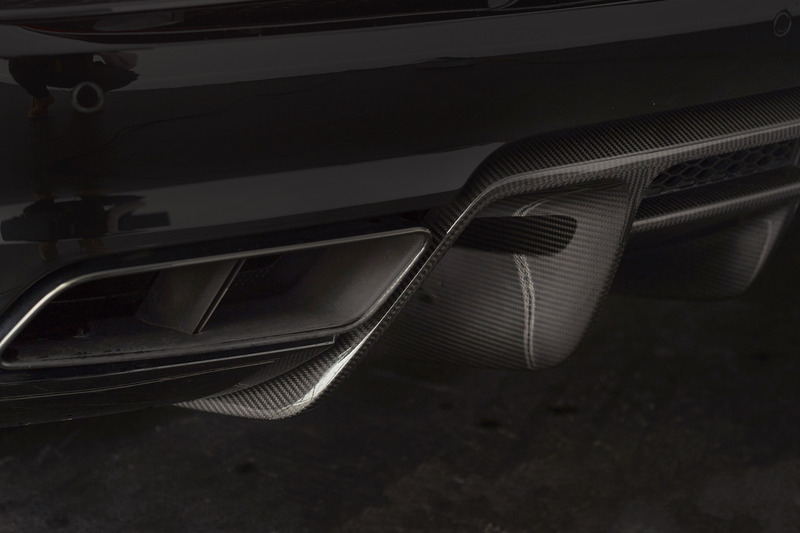 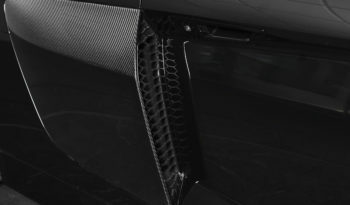 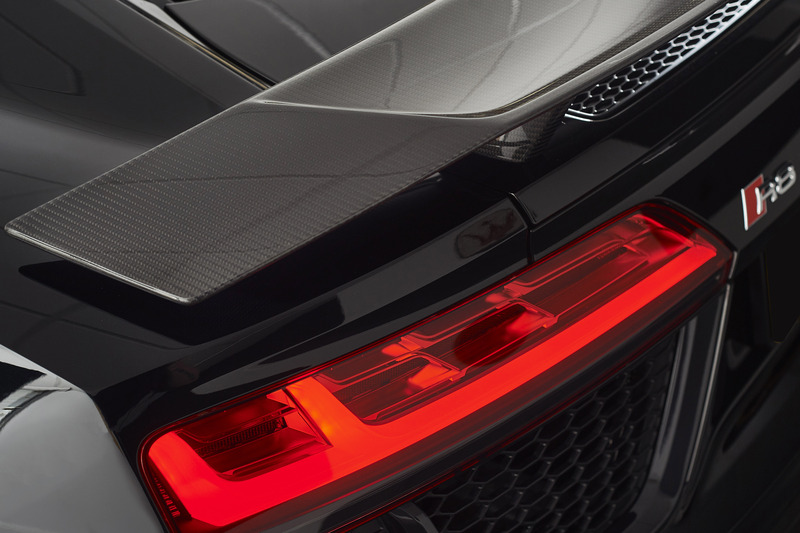 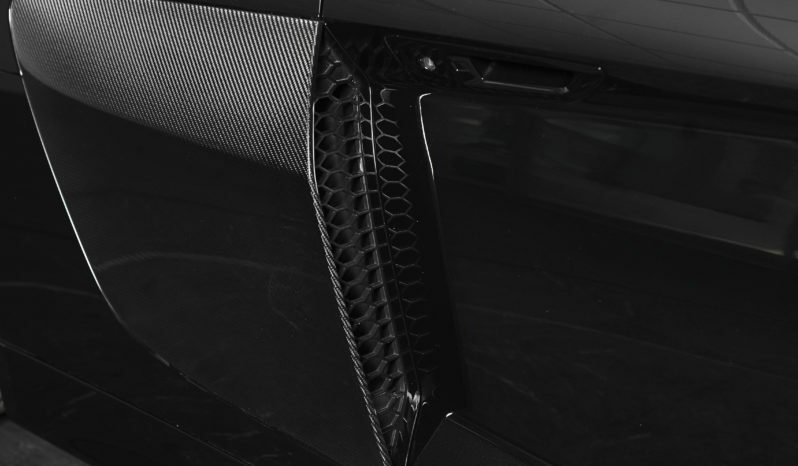 Presented in the Mythos black metallic there is a striking head turning contrast against the matt titanium 20″ Y spoke alloy wheels and the beautifully placed carbon fibre sideblades, rear diffuser, spoiler and the option of extra gloss carbon engine bay trim. 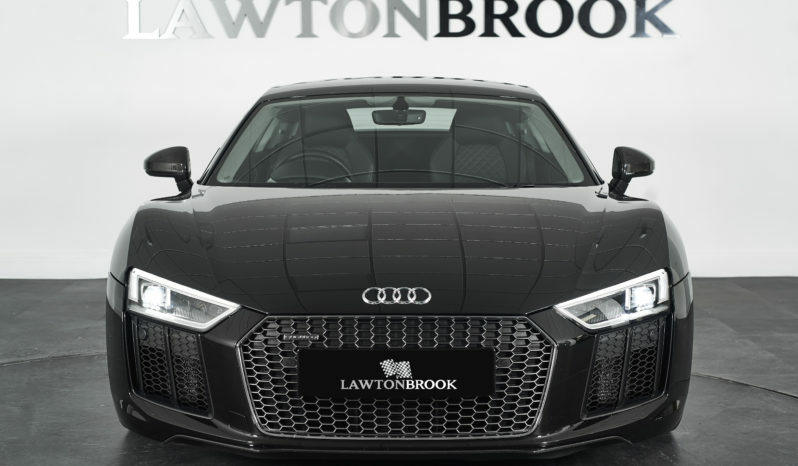 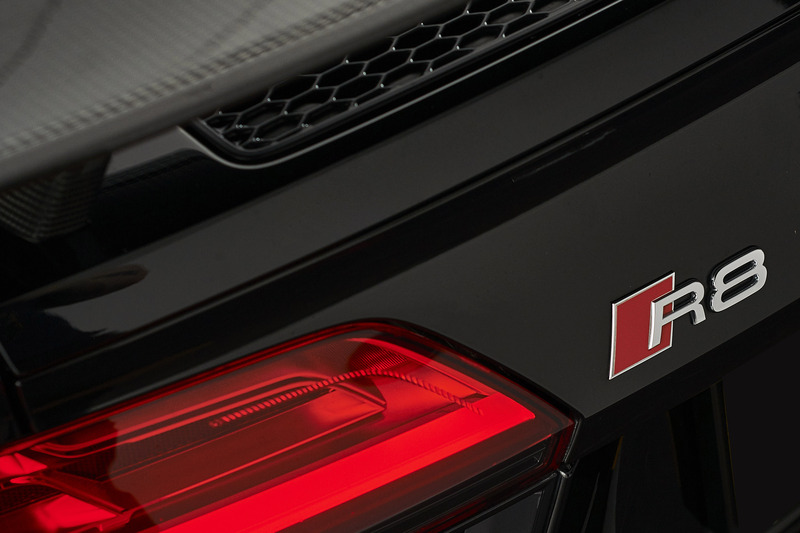 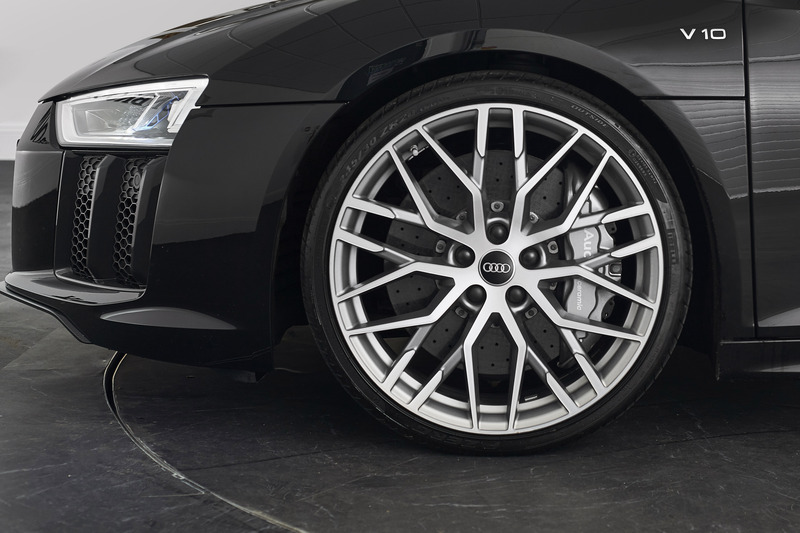 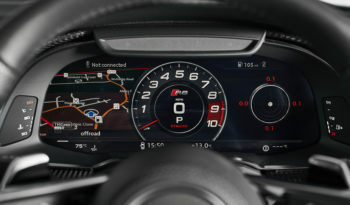 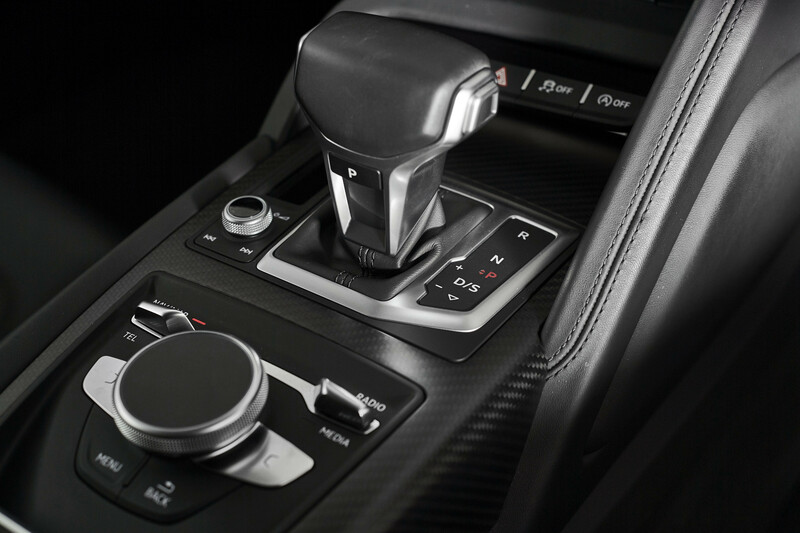 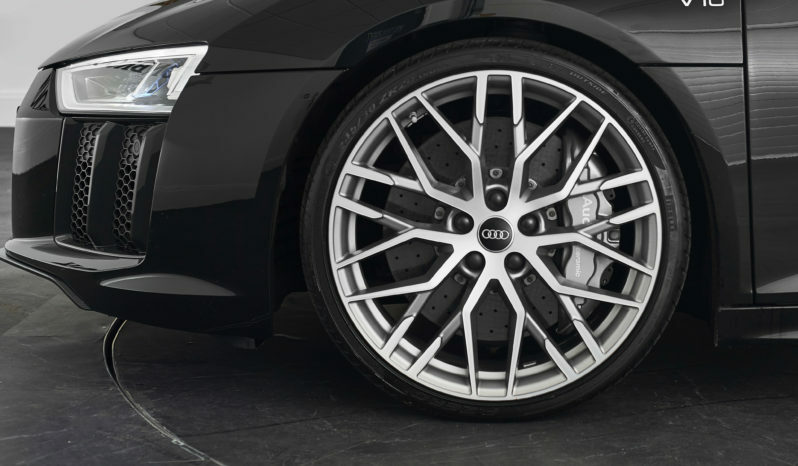 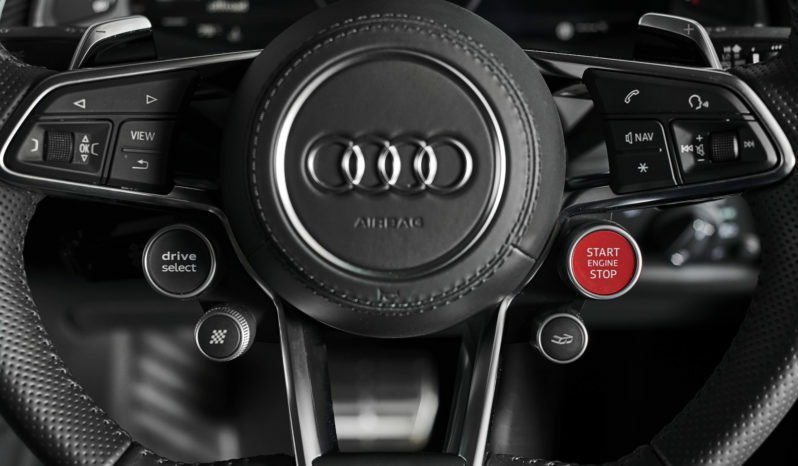 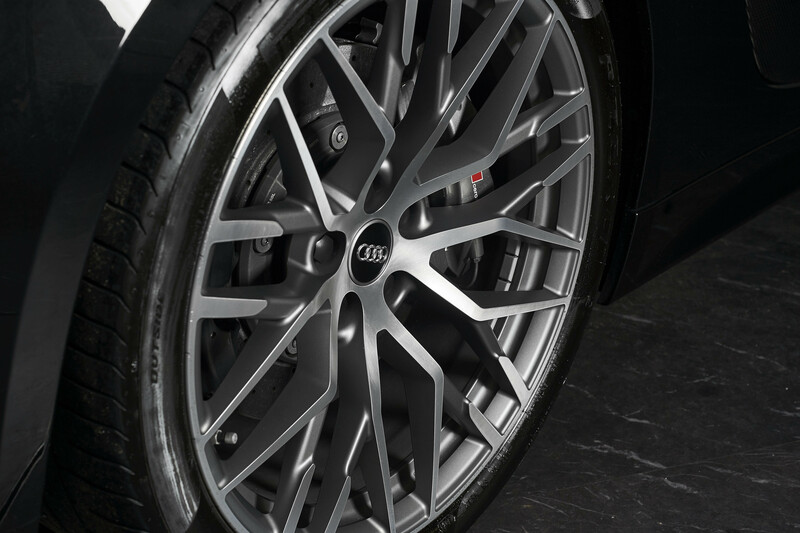 With the performance and styling boxes ticked, that just leaves the soundtrack, no worries there as this vehicle has the Audi Sports exhaust system giving you a grin enducing roar when active! 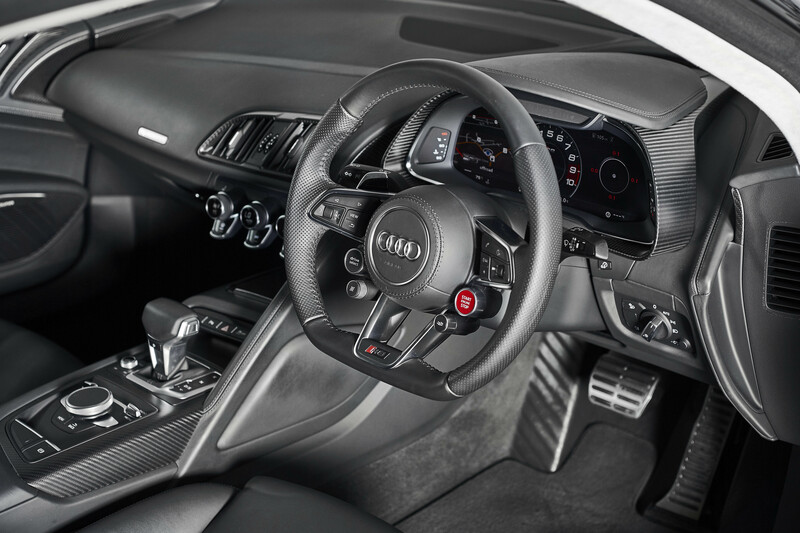 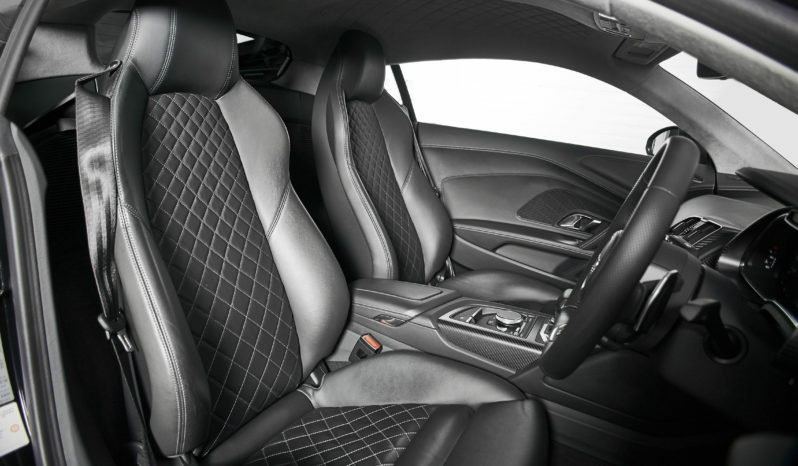 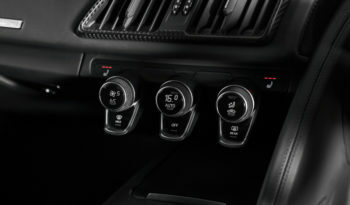 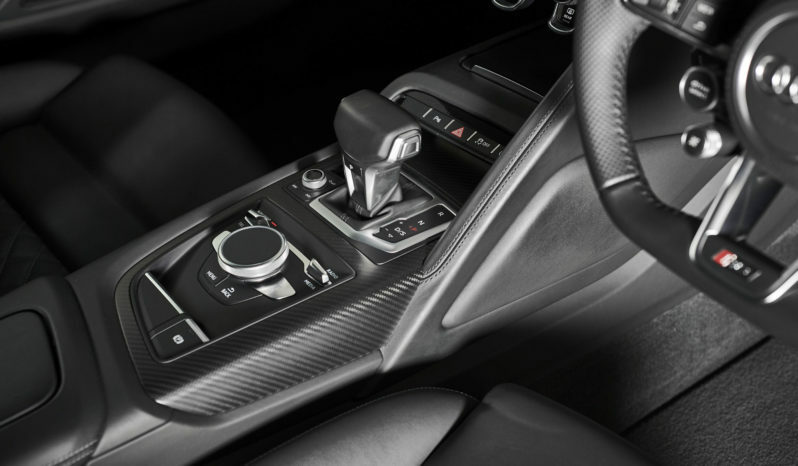 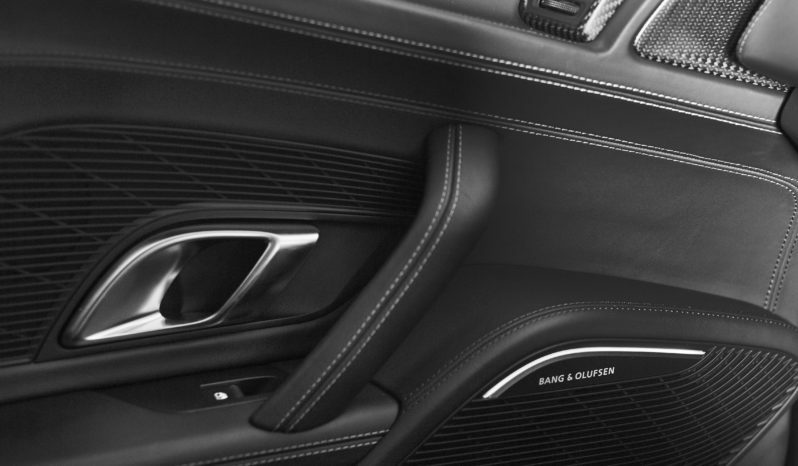 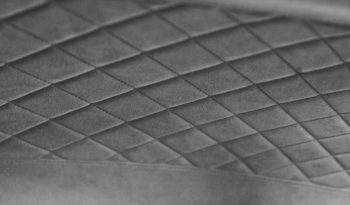 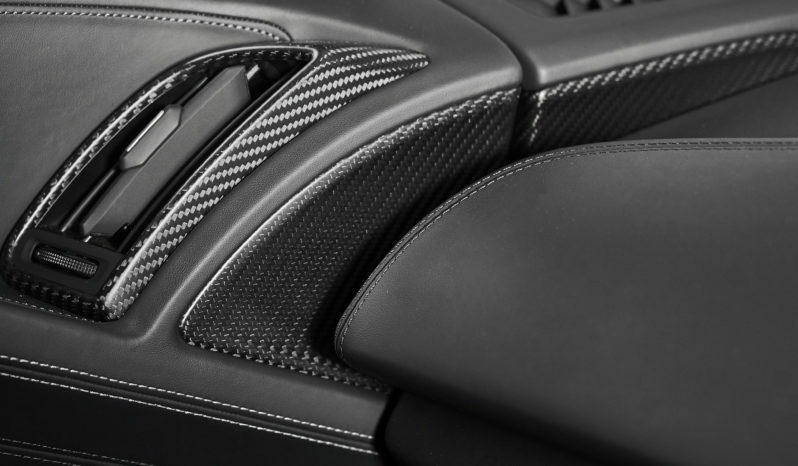 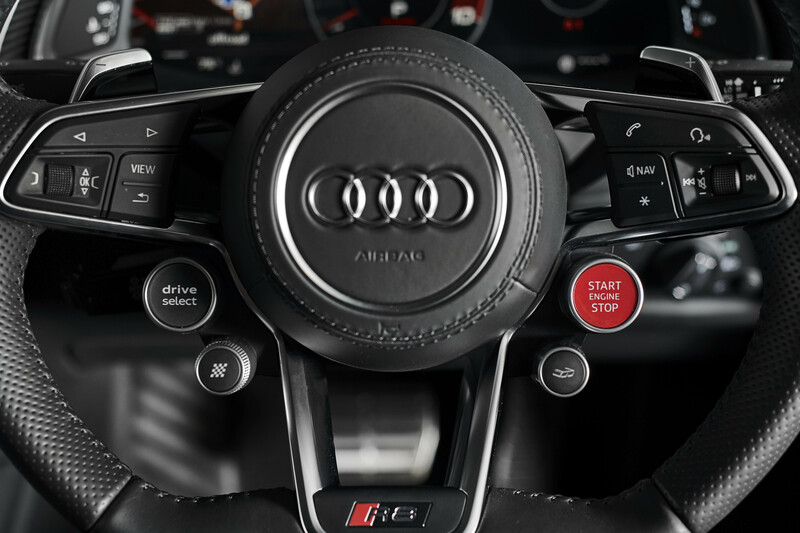 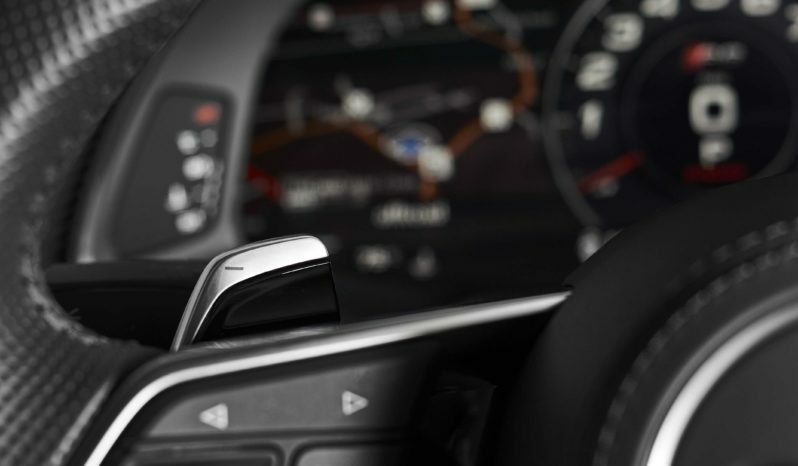 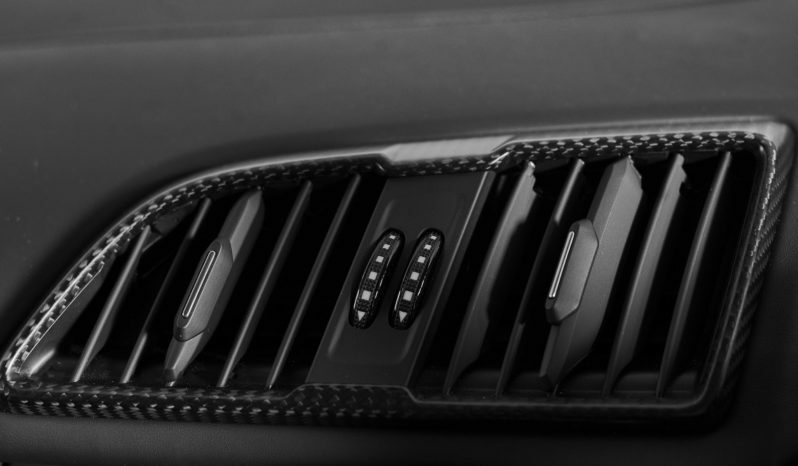 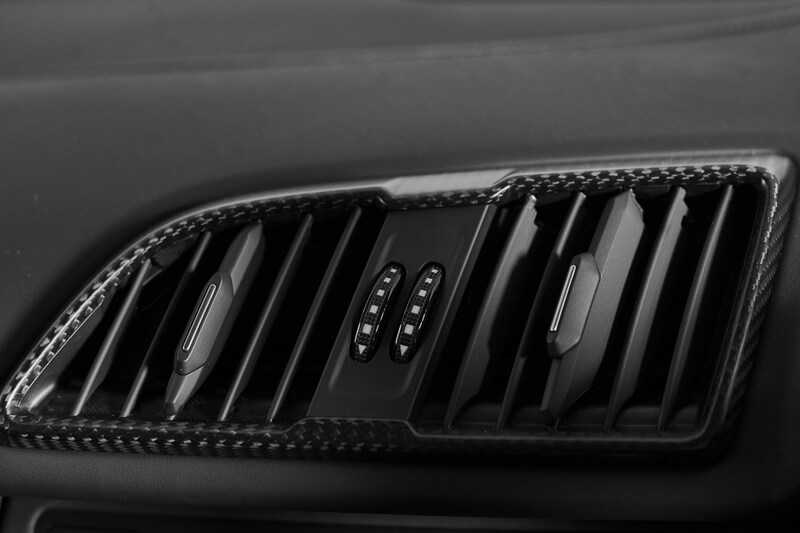 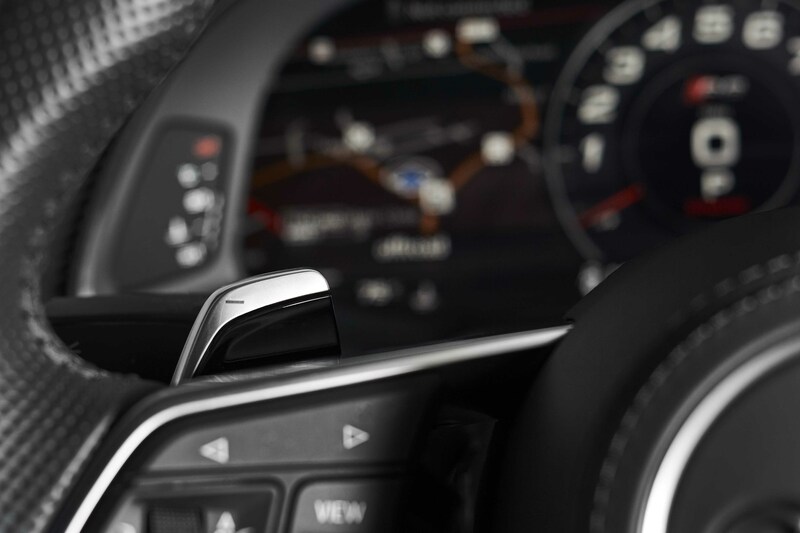 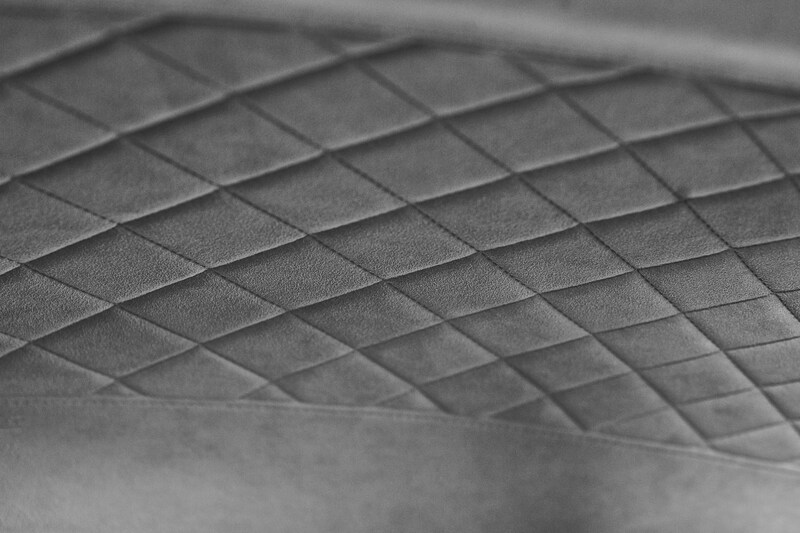 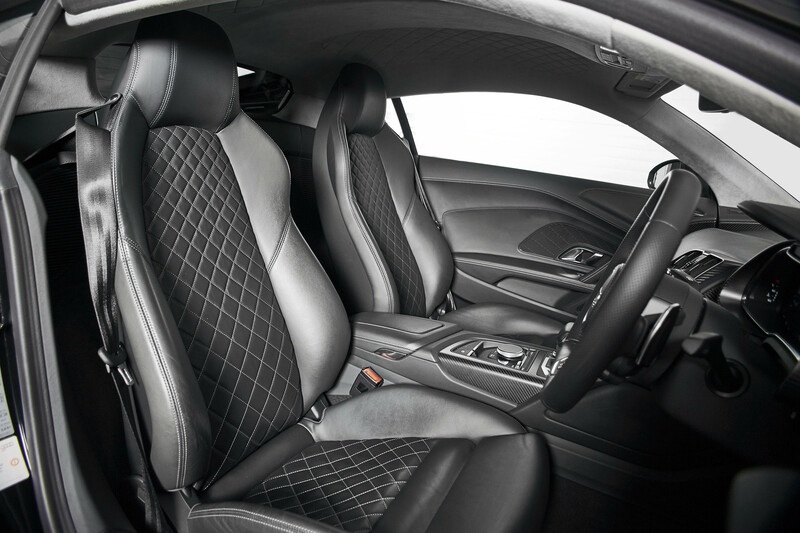 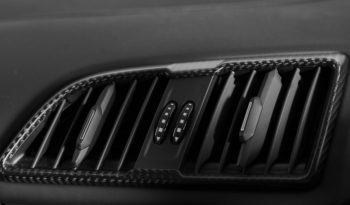 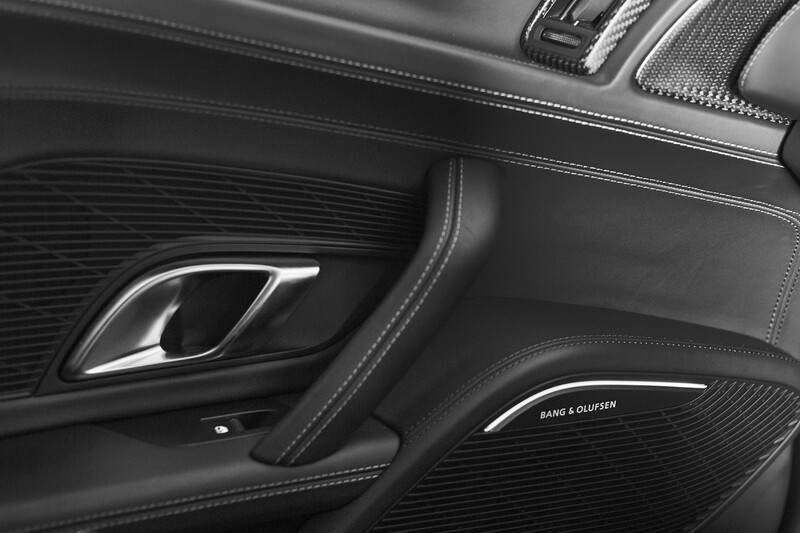 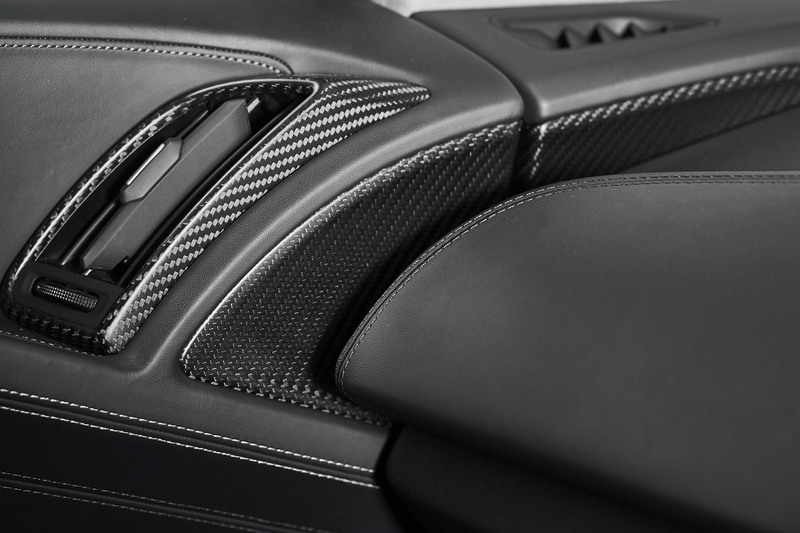 In terms of comfort and tech, every box has been ticked again; Sound and comfort pack gives you Bang & Olufsen sound system, extended leather, illuminated door sills and pneumatic backrest/side adjustment for the bolsters on the sports seats. 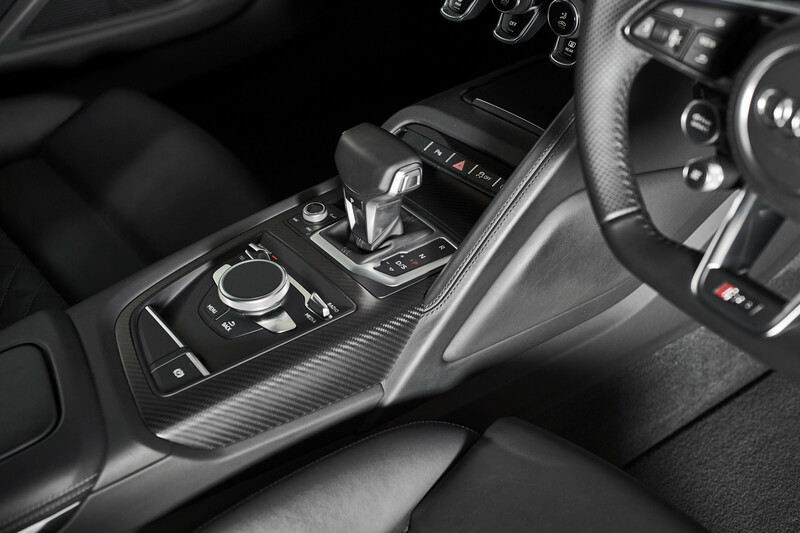 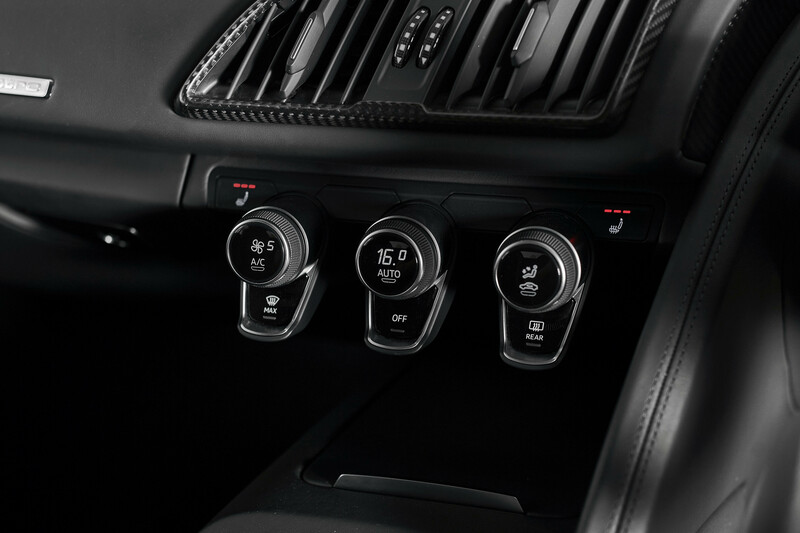 The Magnetic ride also ensures you are comfy in the cabin, adjusting with every bump. 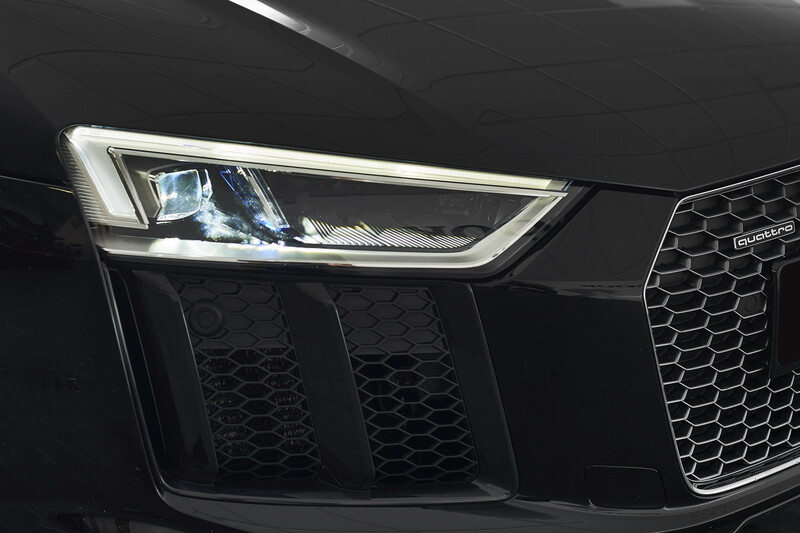 The list grows even further, LED headlight with Audi laser light and high beam assist, alcantara diamond stitched headlining, driver assistance pack, audi phone box and garage door opener. 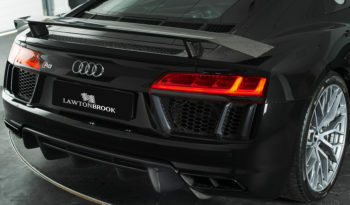 Along with everything else this car is supplied with full Audi service history, carried out only a few weeks ago.